There comes a time in the life of an avid reader when there are so many options, so many choices of what to read that he or she feels the strangest of sensations: Reader’s Block. Urban Dictionary has not only defined this term but has capitalized on it: they sell t-shirts, mugs, and beer steins with this most disastrous of events spelled out clearly in black and white. And yet I cannot, for the life of me, pick up anything. I look at the books over there in the pile and think of a million other things I could be doing. Help! Reader’s Block has taken over my brain! Whatever is a reader to do? 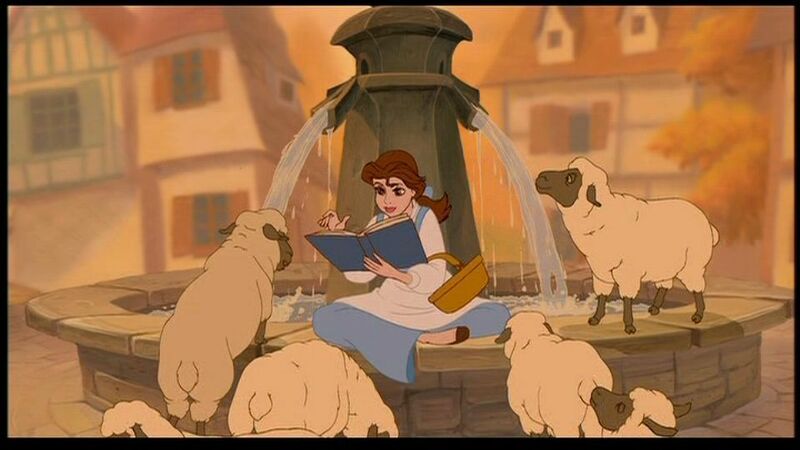 How can I channel Belle and beat the reader’s block?  Archived in Book Recommendations and tagged book recommendations, literature, reader's block, reading, writing. Bookmark the permalink.